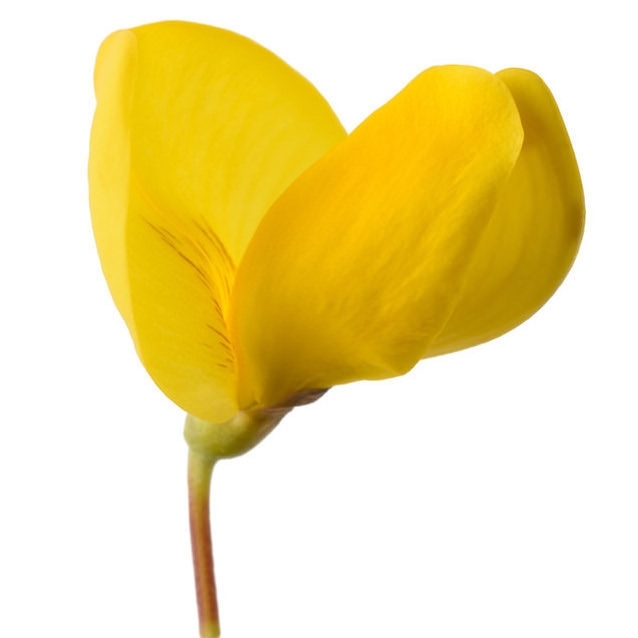 Our organically crafted Genet Absolute or Broom Absolute, also colloquially called Broom (Genet) Essential Oil, is extracted from the bright yellow pea-like flowers of Spartium junceum shrub, native to the Mediterranean. With its sweet, floral, fresh-tea like aroma reminiscent of orange blossom, Genet Absolute Oil is ideal to incorporate into skincare, aromatherapeutic, and natural perfumery products. Broom (Genet) Absolute Oil is a wild or cultivated small decorative shrub that grows prominently on the rocky coasts, woods, in fields and arid-rocky mountains of central and southern Europe and around the Mediterranean basin. The plant has gray stems with multiple, flexible branches, alternate leaves and golden yellow flowers arranged in terminal racemes that blossom in late spring. Broom (Genet) Absolute is a stunningly beautiful therapeutic essential oil that makes an excellent addition to skin care formulas. It provides many benefits for the skin, including lightening dark spots, improving skin lustre, reducing the appearance of acne or other blemishes, and reducing the appearance of any visible scars. Broom Absolute Oil is also used extensively in aromatherapy and works as a natural sleep aid. It is also used extensively in high-class perfumery for its excellent fixative value and to impart a rich, suave sweetness and natural undertone.